Contributor: Marko. 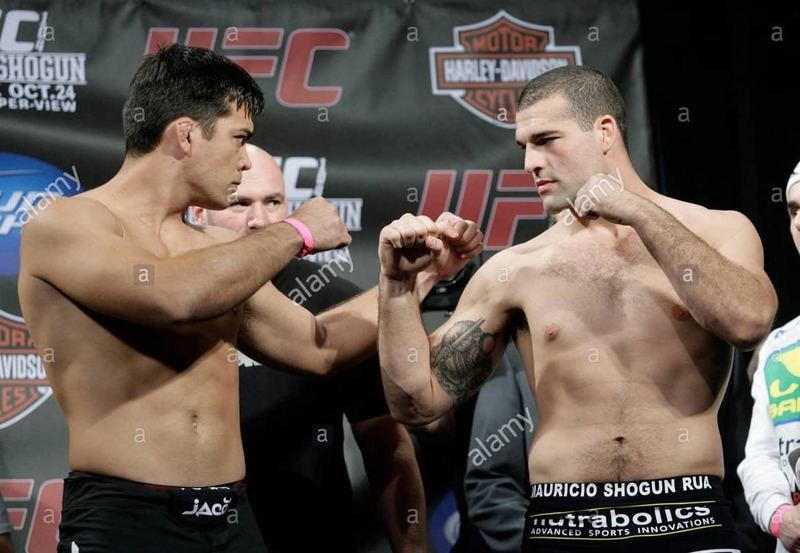 The light heavyweight title fight between Mauricio “Shogun” Rua and Lyoto Machida is the latest to be added to a long list of fights that prove the current scoring system to be too flawed for MMA. This is not meant to bash the judges’ decision, but rather the use of 10-point must scoring for MMA in general. The problem is this – Machida lost that fight but rightfully earned the decision. That means when you view the fight as a whole, Shogun would be the winner. However, when breaking it down round by round and awarding a 10-9 score for each round, Machida was the winner. The reason is that several of the rounds were close and the judges favored the Champion. The idea that a close round would go to the Champion because “the challenger needs to take the belt” carried over from boxing and is well documented. It may be ridiculous, but it is commonplace in scoring fights. 1. The number of rounds in MMA fights. MMA fights have a small number of rounds (5 for title fights and 3 for non-title fights) compared to boxing. Sure, every round scored in a boxing match is important, but that importance is amplified in an MMA fight. The scoring of one razor close round will often determine the winner of the fight. 2. Close rounds count the same as dominate rounds. A round scored 10-8 in MMA is extremely rare. I imagine this has a lot to do with the amount of rounds once again. In a three round fight, if a judge scores the first round 10-8, it puts the other the fighter in a position where he is battling for a draw. Boxing is different – knock your opponent down and you’ve got yourself a 10-8 round. Everyone knows the round will be scored this way. There is no decision to be made by the judges, it is already written. MMA does not have an equivalent standard, so 10-8 rounds are only awarded when one fighter is overwhelmingly dominant. A perfect example of why this is so problematic is the Tito Ortiz/Forrest Griffin fight. Many people thought that Forrest should have won that fight two rounds to one. While that argument is valid, it is completely unjust to award the decision to Griffin even though he clearly lost the fight. Tito dominated the first round. He took Forrest down, controlled him, and landed several big shots that cut Forrest open and had him in major trouble. Rounds two and three were basically even, with neither fighter really doing anything of consequence. Tito controlled much more of the fight than Griffin did, landed the harder shots, and did far more damage. Yet, he still lost the fight on one of the judge’s scorecard. 3. The variety of attacks in MMA. Scoring a boxing match with this system is simple in comparison to MMA. Boxers attack with their hands alone, which leaves much less room for interpretation by the judges. The fighter that lands the most/hardest punches usually wins. MMA is not so straightforward. How do you score the value of a takedown versus a good knee? A hard leg kick versus a sharp jab? Controlling position versus actively working for submissions? It’s murky at best, and there is no absolute standard. It is left up to human interpretation. While human error is always going to be a problem, human interpretation is even worse. This is because two judges could watch the same fight and find two different winners based solely on how they value the importance of certain attacks. Cecil Peoples was recently quoted, “we always favor the fighter who is trying to finish the fight, and leg kicks certainly don’t do that.” I am sure there are judges that do not share that opinion. In effect, separate judges could be watching two completely different fights based on how they value certain types of attacks. While these circumstances will always make judging in MMA more complex, it is again amplified in the use of the 10-point must system. Shogun’s leg and body kicks early in the fight were probably seen as landing, but not overly damaging or effective. Late in the fight, it became obvious that those kicks were very effective and limited Machida’s movement and his ability to attack. If the fight were scored as a whole, it would allow the judges to reassess those kicks and the influence they had in the fight. A recent poll on mixedmartialarts.com showed that out of more than 2,400 votes, 80% believed that Shogun won that fight. Dana White, Joe Rogan, Quinton “Rampage” Jackson and Joe Lauzon have all openly commented that they believe Shogun should have been the victor. The Staples Center erupted in “boo’s” when the decision was announced. It is almost as if the only people that actually thought Machida won were the three judges sitting ringside. Why is that? It’s because when most people watch a fight they are not breaking it down round by round and awarding a 10-9 score the way a judge would. They are watching the fight as a whole, and when it is over they decide who they believe won the fight. This is how fights were judged in the now extinct Pride organization and it really is a much more suitable way of judging, considering the unique variables of MMA. This would allow judges to score a fight like Machida/Shogun more effectively. The early rounds were all very close and could easily have been scored for Machida, and they were. However, as the fight wore on, the damaging effects of Shogun’s body and leg attacks became evident. By the final round, Machida was slower, worn down, and appeared to be the defeated fighter. Shogun, on the other hand, was still fresh and aggressively attacking. It was apparent that at the end of the twenty-five minutes, the challenger had inflicted more damage and was on his way to a decision win. Because of the scoring system, the judges saw it differently. Of course, there is no perfect system of scoring. There will always be controversial decisions; such is the nature of any sport that has judges. But it is not controversy we are talking about. We are talking about a scoring system in which it is justified to award the decision to the person who lost the fight. It is almost certain that there will be no changes to the current scoring system it the near future, or possibly ever. Yet, if the current system remains in place, we will continue to see situations where the fighter who won the fight can still legitimately lose the decision.